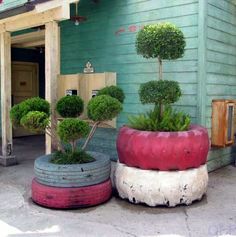 Below is another great use for old tires and a way to add color to your garden. I love this. I am going to have to look for some tires. I have found several great ways to use them in the garden. Do you have any colorful tire planters in your yard? I would love to see them.